The 800HP Level 5 kit for the WRX with R180 Rear conversion is a complete rear system including both axles, hubs and ARP studs. 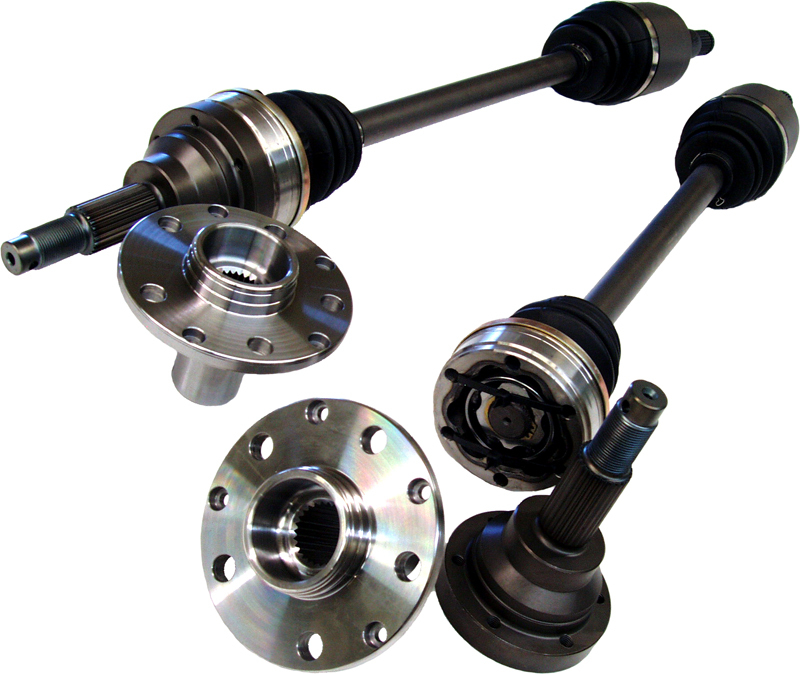 The axles feature 300M bars, chromoly inner CV with spline plug and a bolt-on outer CV with a larger spline. The hubs are made to accomodate the larger spline and are able to accept the factory ABS ring. Rated to 800HP with a 1-year warranty.